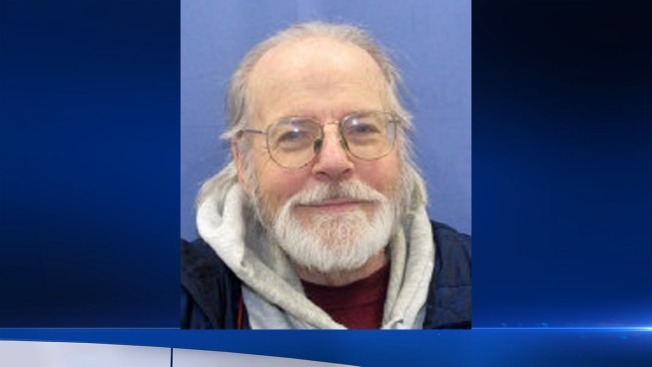 Police are searching for a Vietnam veteran who went missing after leaving a Philadelphia VA Hospital Tuesday afternoon. Charles “Eddie” Moore, 71, of the 1000 block of Morris Street, was last seen leaving the VA Hospital at 3800 Woodland Avenue Tuesday around 3:40 p.m.
Moore’s brother-in-law told NBC10 his sister was with him at the VA Hospital when he went missing. The brother-in-law said his wife was in the waiting room for a while and then asked a staff member how much longer it would take. The brother-in-law says he searched the area Tuesday while his wife filed a missing person’s report. He also said Moore only has about $30 on him and can’t get any more money because he lost his ATM card. Moore is a white male standing 5-foot-6 and weighing 135 pounds with blue eyes, short, straight, white hair, a beard and a mustache. He was last seen wearing a black Flyers knit hat with an orange stripe, green Eagles zipper hooded sweatshirt, dark corduroy pants and brown or black boots. They also said he suffers from dementia and doesn’t have a vehicle or cellphone. If you have any information on Moore’s whereabouts, please call the South Detective Division at 215-686-3013 / 3014 or call 911.